The Reading Pretzel Cooker evenly and accurately cooks or steams pretzel and snack products to ensure consistent texture, pH and color prior to the baking process. 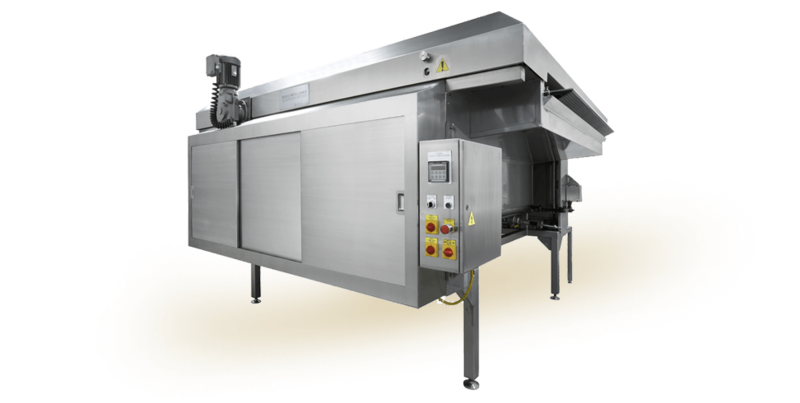 Product pieces are conveyed through a dipping bath or waterfall type application of caustic solution inside the cooker. 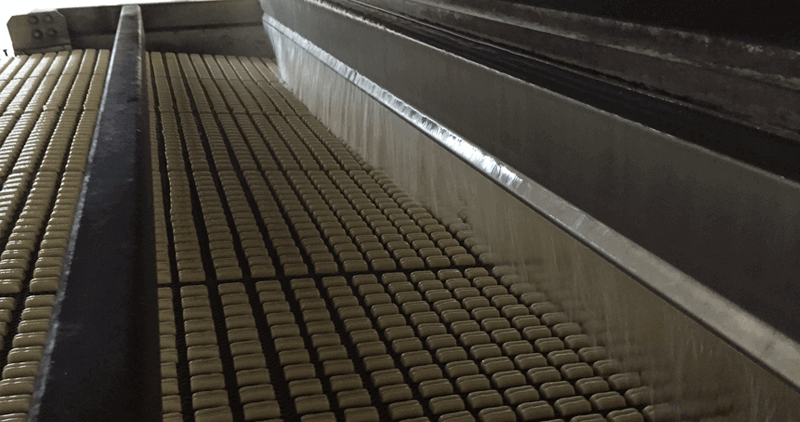 The automated caustic soda handling system ensures proper recipe control. 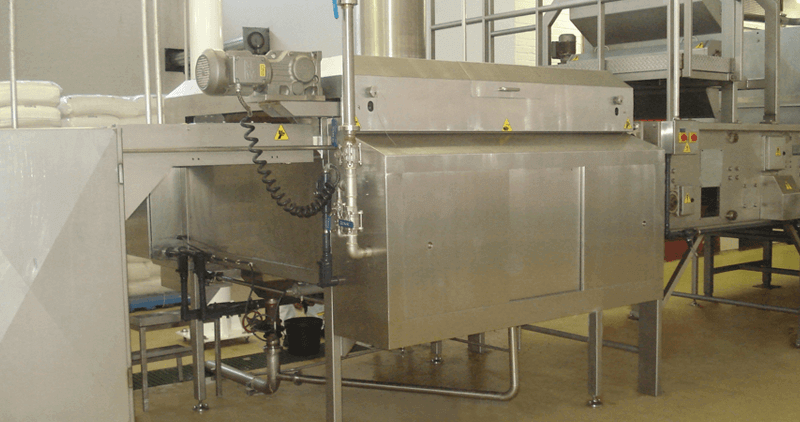 Automatic Electronic Level Control - An electronic controller and capacitance probe is used for precise level control of the cooking solution ensuring consistent product dwell time and product quality. 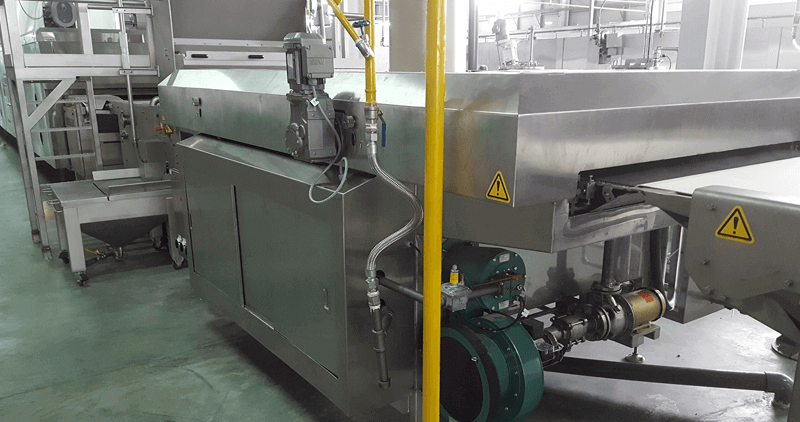 Automatic Electronic Solution Strength Control: An electronic controller and in-line probe are used for safe and accurate dosing of liquid sodium hydroxide from its storage vessel to the Cooker tank. 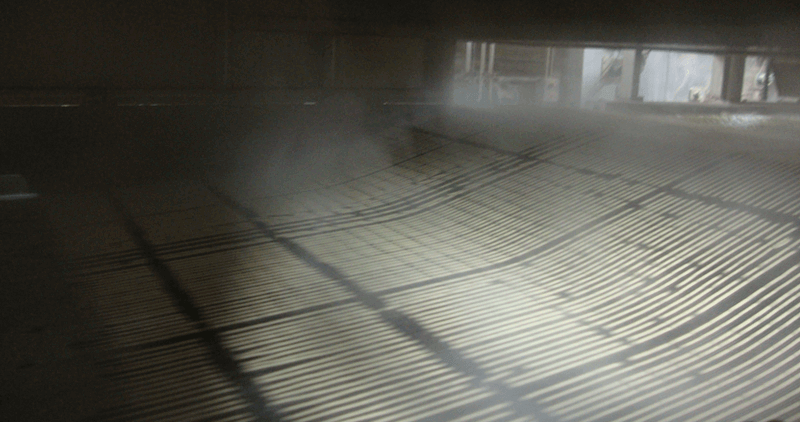 Burner fires into an immersed tube for maximum surface area resulting in excellent heat transfer.